Dearborn Window Replacement | Dearborn Windows | Dearborn Home Window ReplacementMcGlinch & Sons CO. If you live in Dearborn and have been searching for the leading window replacement company, then McGlinch & Sons is the home window replacement company for you! We are a family owned and operated business that has been servicing Southern Michigan for four generations. 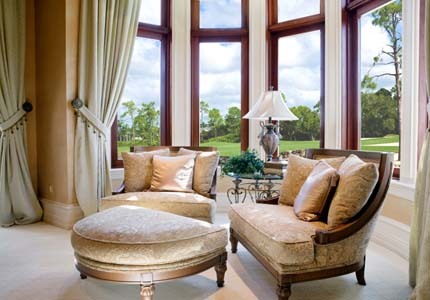 We provide the most exceptional wood windows, storm windows, and replacement windows. McGlinch crafts the window replacements to withstand the harsh Midwestern weather. We have been offering the most dependable and affordable window replacement services since 1917. Residents of Dearborn continue to recommend us to their friends and families because we are known for providing consistent and high-quality service. The City of Dearborn is located in Wayne County, Michigan and is the hometown of Henry Ford. Currently, Dearborn has an estimated population of 98,000 and is home to Henry Ford College. McGlinch has the certified expert installers so you can hire with confidence. If you have been considering purchasing a wood window replacement, storm windows or wood windows then contact McGlinch. If you live in Dearborn and are interested in a home window replacement service, then contact McGlinch for a free estimate. Add curb appeal and value to your home when you choose McGlinch to install your window replacement! McGlinch upholds the highest standard out of all the competing window replacement companies in the area. We have been serving clients with excellent windows for over a century. McGlinch supplies reliable and low cost storm windows and wood replacement windows to all clients throughout Dearborn. Here at McGlinch, we have a history of providing customer satisfaction. When you choose McGlinch, you will receive your home window replacement in a timely fashion. To get a free estimate from the top window company, contact McGlinch & Sons today!